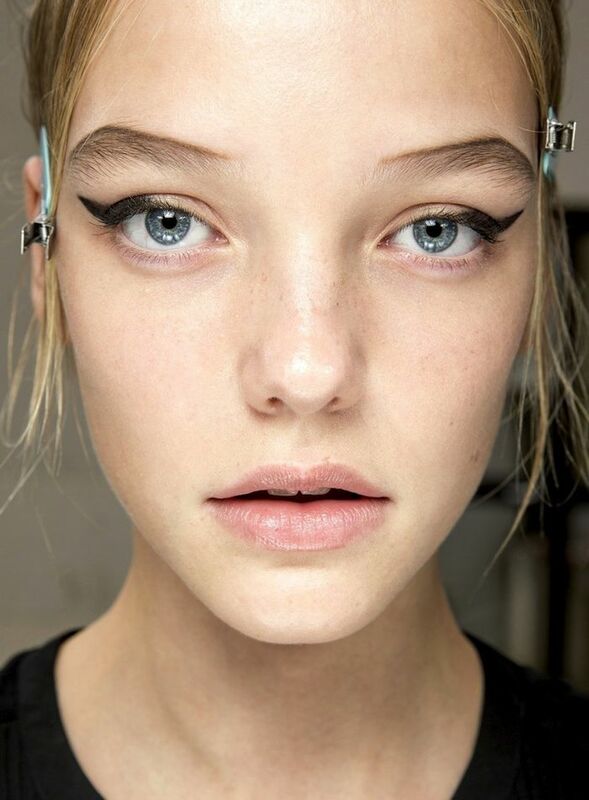 We are smitten with the beauty look that went down the runway at Cushnie Et Ochs S/S 2015. The thick winged eyeliner is always a favorite, but what really caught our eye was the pink and gold half-moon manicure on the models. To our surprise and delight, we came to find out that the pink nail polish is from Christian Louboutin!